Found this little thing on one of the plants I have. This little thing is the reason I got rid of almost all of my live plants in my gecko tanks. This of the undersides of the large plant on my foutry gallon COVERED in these. I'm waiting for warm weather here in FL - I miss the anoles that live outside! 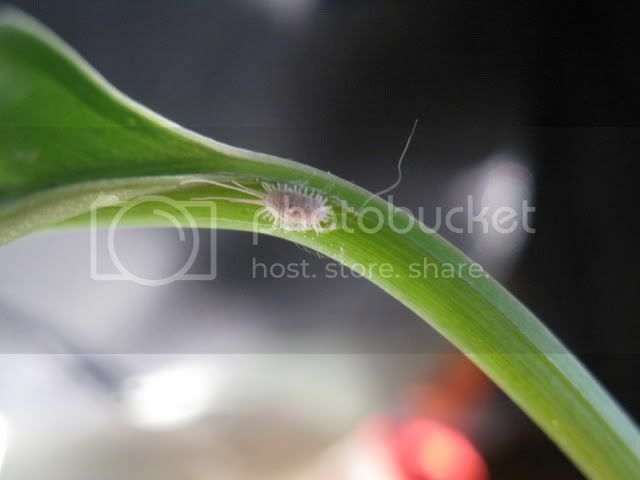 I never seen any bugs like that before in real life,so I don't think we have them here.I don't keep plants either though.I assume they are pests? If you kept plants you would preobably have them. And yes they are pests.